A patch for Modern Warfare 2 went live this morning for Xbox Live users, with other platforms to follow, to fix many bugs including the Akimbo bug, infinite ammo, and "public" private match issues. 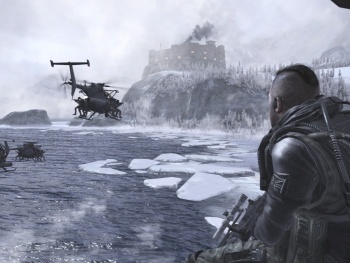 Robert Bowling, Director of Communications and Community Manager for Infinity Ward, announced via Twitter that a patch of Modern Warfare 2 would go live over Xbox Live at 2:00am Wednesday morning. The patch was just for the Xbox 360, but a Playstation 3 patch was released last week and a PC patch on the way. The full text of the Tweet from Bowling, aka Fourzerotwo: "Alright, just got word the MW2 Xbox 360 patch should start going live at 2 AM. You can now remove my face from your dartboards... for now." There is also an update on the Infinity Ward forums from Bowling which states what the patch was meant to fix across all the platforms: "Includes: 1887s Balanced. Public "private" Match fix. Infinite Ammo fix. Prestige Hack on PS3 fix. Texture Hack on PC fix (eliminates any edits to IWD files also)."